The mayor of Monrovia, Jefferson T. Koijee is currently in Bristol, U.K attending the Global Parliament of Mayors Conference or GPM. Speaking at the opening session of the parliamentary gathering yesterday (Oct. 22, 2018), Mayor Koijee presented the position of the great city of Monrovia ranging from Health, Security, Agriculture, Youth Employment, Infrastructure, and Education. According to him, these sectors are key to the development of Monrovia and improving the livelihood of its inhabitants. “I am delighted to be here for this unique session and wish to extend greetings on behalf of the great people of Monrovia and the president of Liberia Amb. George M. Weah. I have come to let you know that despite the many challenges faced my city, we have been doing some tremendous work for the past seven months since we took over as mayor of our capital.” Mayor Koijee averred. “I have the pleasure to share with you some of our challenges as a city. Currently, we are exploring avenue to mobilize financial, technical and logistical resources in tackling our solid waste management, Security and communication. The mobilize resources will help provide technical and logistical support which are some of our major challenges. As you are aware, my country was one of the countries hit with the deadly Ebola virus disease in 2014 that resulted in over 4,000 lives been lost and left our health system broken. My city as an epicenter of economic and political activities in the country, my city play host to approximately one million people which is about 35 % of our total population. The City of Monrovia experienced the worst casualty of the outbreak and has left a negative impact on our health center,” he stressed. He also said tackling waste in Africa especially Monrovia needs a holistic approach with support from International partners and wealthy cities. 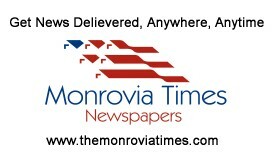 The Monrovia City Mayor further reminded his colleagues that the issue of transportation in the city is also a major challenge residents of Monrovia are faced with. “In Monrovia, we have the state-run University and students leave from distances to attend the University but to get vehicles to transport students to school are difficult. It is a serious problem and we need your intervention. We have also started the process of revamping the Monrovia City Police, making the police a unique and professional force to protect lives and property within the city limit of Monrovia. We have beefed up the strength of our police force to regulate laws through the enforcement of the city ordinance. However, must still needs to be done” he noted. In a rather passionate tone, Mayor Koijee appealed to his colleagues to join him in enhancing the capacity of the City Police, noting that, most of the difficulties found in Monrovia with respect to citizen gross disregard for the city ordinance, is the issue of the capacity of the security arm of the city Government to enforce the ordinance. As a result of his brilliant presentation at the opening session, Mayor Koijee has been selected to Co-chair the Health Committee and will be representing the parliament at the World Health Organization summit in Lyon, France from December 4-6, 2018. The young mayor who joined 28 African Countries at this year’s session is the only West African Mayor and the second Mayor to be elected on the Executive Committee of the Global Parliament of Mayors. The Global Parliament of Mayors Conference Bristol 2018 is being held under the theme: “Empowering Cities as Drivers of Change” focuses on global governance and the urgent need for the influence, expertise and leadership of cities to be felt as international policy is shaped. GPM Bristol 2018 will provide mayoral participants with a global network of connections and a space to develop the collective city voice necessary to drive positive change. The programme will engage participants in decision-making, with panels, debate, and voting on priority issues including migration and inclusion, urban security and health.